The tentacles that stick out from the head of a snail are not its “feelers” as most people believe. On the ends of those tentacles are the snail’s eyes. Land snails have two sets of tentacles that stick out, the longer set of tentacles are the ones that have the snail’s eyes. This way they can move their tentacles around to get the best view. 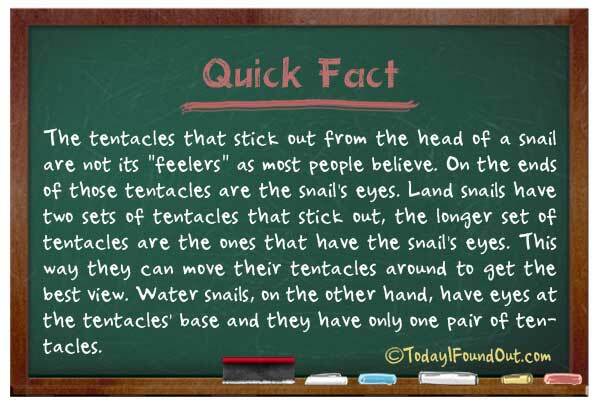 Water snails, on the other hand, have eyes at the tentacles’ base and they have only one pair of tentacles.